I thought it was time to see what Melbourne thinks about cabbage so we made it the topic of this week’s food chat. It was a very popular subject! Lots of people have very strong cabbage opinions and the talkback lines ran hot. 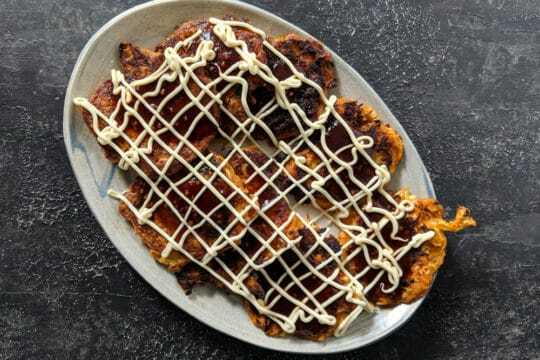 Enjoy some of my cabbage recipes, including the Okonomi-Kimchi (above), a savoury Japanese pancake, and Peanut Butter Coleslaw, a fresh and frisky spin on a classic.